If you aren’t hosting Sunday brunch soon, you’ll find a reason to after you try this Mexican Mimosa. Tequila is the secret ingredient that sets this mimosa apart from the rest. If you’re a long time. Garnish with Lemon reader, It’s no secret that Anna and I both love breakfast foods and tequila. I knew it wouldn’t be long before I would find a way to make it socially acceptable to drink tequila before noon. Cue the Mexican Mimosa, my new go-to brunch cocktail. Tequila gets a bad rap from people who may have overindulged and can no longer tolerate it. But sipping on good tequila is one thing that we appreciate. And while I love a good margarita, there are so many undiscovered tequila cocktails out there that are swoon-worthy. The Mexican Mimosa is a perfect example. What ingredients do you need for a Mexican Mimosa cocktail? 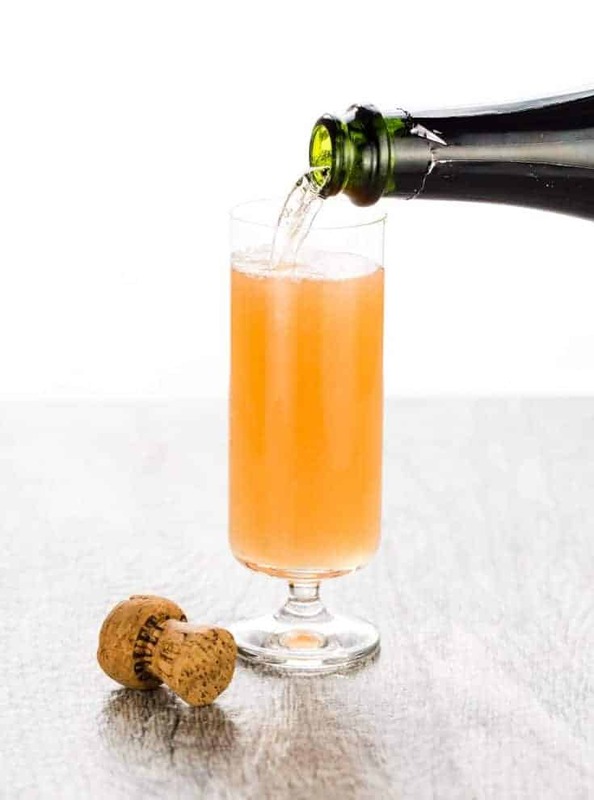 Does it matter what of prosecco or champagne you use in a Mimosa? Yes and no. I know it’s tempting to cheap out on the sparkling wine since it’s being mixed with fruit juice, but don’t do that. Some of your guests might forego the juice entirely and enjoy a glass of straight-up bubbles. Stick with one of your favorite brands in the $10-20 range. Keep at least one bottle on ice on the mimosa bar and a couple of backup bottles chilled in the fridge. 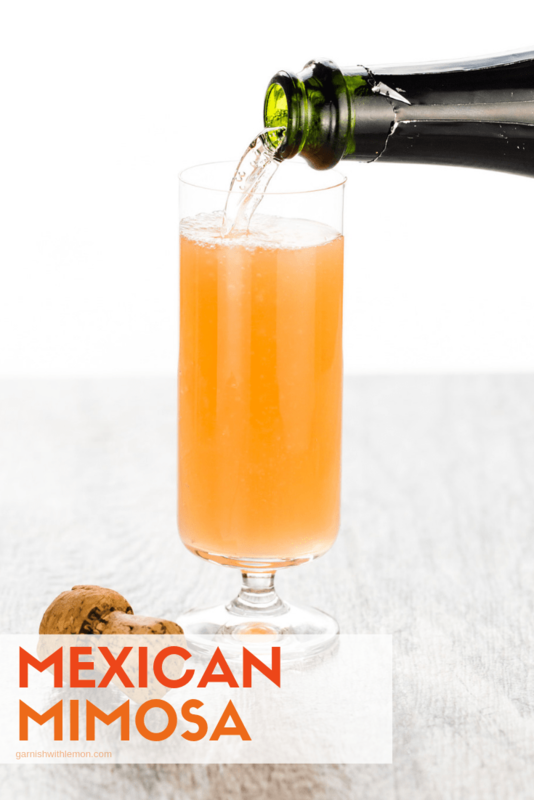 This simple combination of ingredients makes a Mexican Mimosa a truly memorable drink to add to your brunch menu. Plus, it’s just as easy to make as a batch cocktail or to serve one at a time.I’ll toast to that any day of the week. So now that we’ve given you the excuse to host brunch, check out our Pinterest board devoted to ideas to make planning easy. Follow Garnish with Lemon’s board Brunch Ideas on Pinterest. 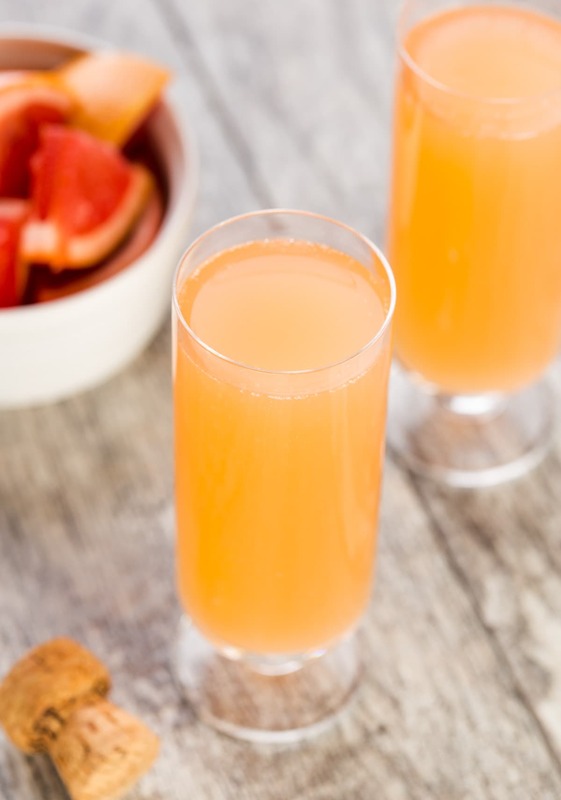 You'll find a reason to host brunch just to serve this Mexican Mimosa. Pour tequila, simple syrup and grapefruit juice in champagne glass and stir gently to combine. Add chilled sparkling wine and serve immediately.